Run by husband and wife duo, Tony and Tracy Roberts supply and install premier swimming pools and hot tubs. With over 20 years experience and knowledge, we are respected for our quality workmanship and we aim to provide the ultimate customer experience. 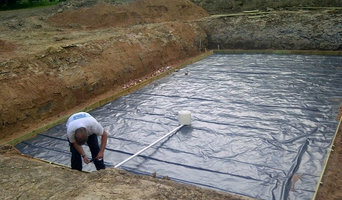 Pool Contractors based in the West Midlands since 1974. With a diverse portfolio of pool projects, we pride ourselves in carrying out works well engineered and luxuriously designed pools, spas, steam rooms and saunas to the highest of standards. We pride ourselves of our reputation of installing superior swimming pools, spas, steam rooms and saunas with high quality specifications, fittings, filtration and finishes. Our company policy is to not only provide an excellent build, but also to ensure that any future maintenance is as trouble free as possible. Our engineers only install high calibre equipment that is respected in the industry for its strength, durability and availability of spares. All Weather Leisure Midlands Ltd is the number one spot for all your hot tubs Staffordshire, Jacuzzi hot tubs, Viking Spas hot tubs, Woodland Log Cabins and Jacuzzi chemicals. Everything you need to make your home and garden an oasis of relaxation can be found at All Weather Leisure. Our experienced staff are here to serve you and will ensure your buying experience is the best in the industry, whether you’re looking for hot tubs Birmingham, a Jacuzzi hot tub, Viking Spas hot tub or Jacuzzi chemicals. We are based in the heart of the UK, with excellent road links. 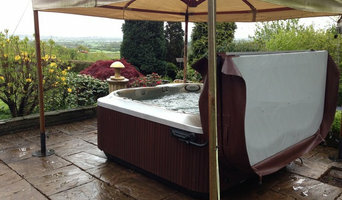 As such, we are easy to locate and the ease of access allows us to supply our hot tubs both locally and nationally. If you can’t find exactly what you’re looking for, then please feel free to contact us or visit our showroom at Unit 4 Point North, Virage Park, Green Lane, Cannock, Staffordshire, WS11 0NH All Weather Leisure are the leading suppliers of hot tubs Staffordshire, Birmingham & the West Midlands. Call us today. Of course, we don’t all have the room, money or climate for our own swimming pool, but hot tub prices are usually less than swimming pools' and are a more compact, weather-enduring option, too. With Penn, West Midlands hot tub suppliers available on Houzz, you can compare prices, photos of hot tub installations, reviews, recommendations and ratings from previous clients. How will Penn, West Midlands hot tub and swimming pool builders install my pool/hot tub? Do you want your Penn, West Midlands swimming pool builders or hot tub suppliers to help you with maintenance and repairs? Find swimming pool builders or specialists on Houzz. Narrow your search in the Professionals section of the website to Penn, West Midlands swimming pool builder or hot tub supplier. You can also look through Penn, West Midlands photos by style to find a swimming pool installation or hot tub installation you like, then contact the specialist or builder who designed it.